Neat little treat for people commuting. The same group did something very similar once before that went viral on the web. 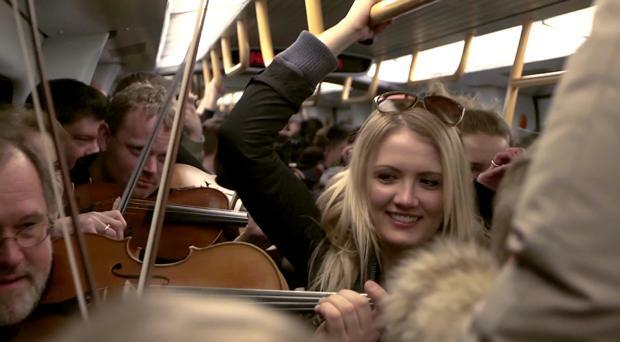 Must be tough playing in such a crowded train.